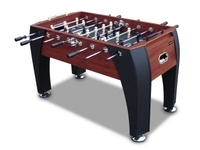 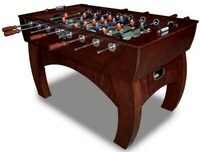 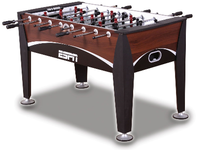 The Stadium foosball table is a solid and heavy table that is made with furniture quality wood. 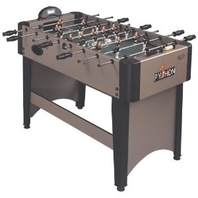 The Stadium is priced at about $350 dollars which falls a little towards the higher end range out of all the foosball tables that Sportcraft manufactures. 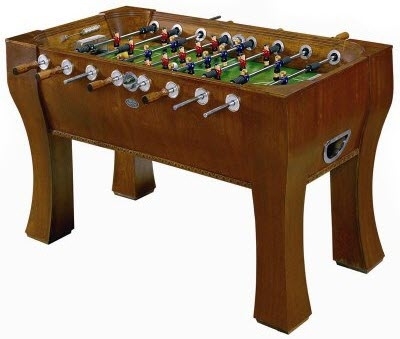 The one feature we don't like are the traditional style foosball men that have a more rounded toe than the newer American tournament style foosball tables. 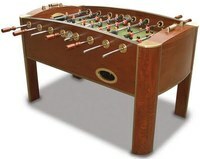 If you are looking for a table used in tournaments, we recommend looking at Tornado foosball tables. This foosball table is priced at around $350 US.